by bombarding uranium-238 with deuterons. releasing a huge amount of energy and radiation. of a little over a second. was kept secret until 1948. World War II had already begun. production of nuclear bombs in October 1941.
for nuclear bombs proceded concurrently. irradiated uranium to produce plutonium. 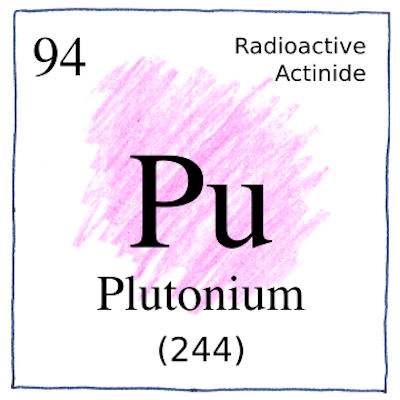 separated plutonium from the uranium. plutonium for weapons used during the war. the abbreviation Pu instead of Pl—was hardly noticed. Seventy-one years have passed since the bombing of Nagasaki, 9 August 1945, where the plutonium bomb “Fat Man” killed 60,000 to 80,000 people. Cleanup of radioactive materials at the Hanford Site, next to the Columbia River in the middle of the state of Washington, continues to be a problem.